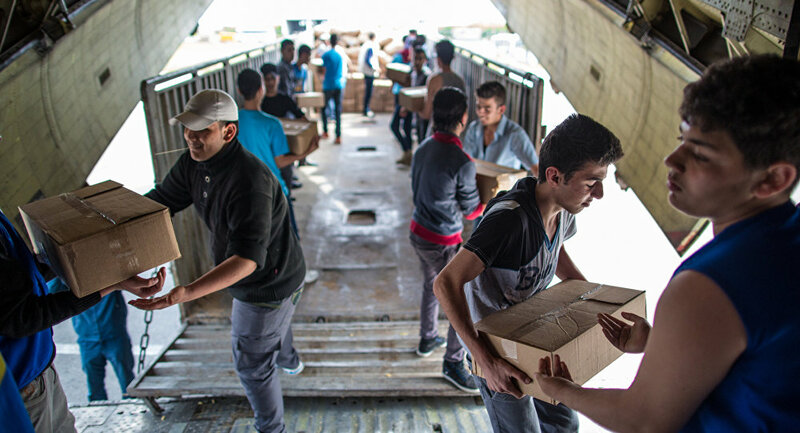 Russian Ambassador to the United Kingdom Alexander Yakovenko said that over 600 tonnes of humanitarian aid have been delivered to Syria and neighboring countries for the Syrian population by Russia. LONDON (Sputnik) — Russia has delivered a total of over 600 tonnes of humanitarian aid to Syrians in Syria and neighboring countries, Russian Ambassador to the United Kingdom Alexander Yakovenko said Thursday. "As of today, over 600 tonnes of humanitarian aid have been delivered to Syria and neighboring countries for the Syrian population affected both by the internal conflict and the struggle we see in this country due to the fight against international terrorism," Yakovenko told RIA Novosti.